To reduce the attainment gap between the FSM pupils and non FSM pupils. To ensure the children have ‘readiness to learn’ and barriers from home are addressed. School reviews spending on a termly basis to ensure there is impact of interventions. Precision teaching intervention Y1-Y6 £400 To plug gaps in attainment for Year 6 maths and all SEN children through focused 1/1 intervention 3 x per week for 20 minutes. Art participation – music tuition across the school. 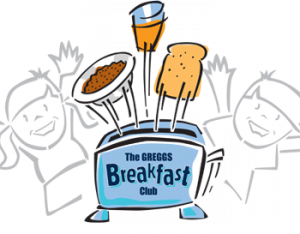 Staff costs to provide a free breakfast club to all pupils £6,600 To ensure pupils are ‘ready to learn’ and are prepared for their day ahead. EYFS executive lead employed £14968 To raise attainment in EYFS and support staff in identifying barriers to learning and supporting with CPD Accelerated progress of pupil premium pupils Reading – 4.9 (non pp 4.7), writing – 4.4 (non pp 4.4), maths -5 (non pp 4.7). Expected progress is 3 points. Increase in pp pupils achieving expected standard across FS from 14% on entry to nursery to 43% on exit form Reception. Precision teaching intervention Y1-Y6 £400 To plug gaps in attainment for Year 6 maths and all SEN children through focused 1/1 intervention 3 x per week for 20 minutes. All SEN pupils have made at least good progress in maths from Y1-Y5. Expected progress is 3 points, Y1 – 4 points, Y2 – 3.5 points, Y3- 3.5 points, Y4 – 5 points, Y5 – 5.5 points. 5/7 SEN pupils reached expected standard in maths in Year 6. £20,000 To remove barriers to learning for children identified across KS2 Rated outstanding in external review. 0 exclusions 2015-16. Attendance improved for all pupils accessing this intervention. All children made at least 3 points progress in R, W and M.
Parental involvement – Employment of a part time child and family worker £10,772 To address barriers to learning and support vulnerable parents and families through referrals, meetings and training programmes E Piercy has provided support for many vulnerable families throughout the year. Attends core groups and conferences. Additional staff for early intervention EYFS and KS1 £12,500 To support in EYFS in identifying underachievement and providing suitable intervention Accelerated progress of pupil premium pupils Reading – 4.9 (non pp 4.7), writing – 4.4 (non pp 4.4), maths -5 (non pp 4.7). Expected progress is 3 points. Subsidise costs of school visits £8,000 To broaden and develop experiences outside of school and enhance the curriculum by providing first hand experiences Every child has attended 3 visits or had visitors this year. Subsidised travel costs and free visits/visitors. Outdoor adventure learning – Weekly access to Forest school lead and CPD £5,800 To widen learning opportunities and experiences of pupils Feedback from pupils indicates 100% enjoyment and improved collaboration, team work and problem solving. £2,340 To target disadvantaged pupils for music tuition Cost reduced for music tuition. Any pupil can access provision regardless of finances. After school and lunchtime programmes – SAFC, gymnastics, sports north east, computer club, film club – TA cover £11,000 To provide equality of opportunities for pp children Cost reduced for after school sessions. Any pupil can access provision regardless of finances. £20,000 To remove barriers to learning for children identified across KS2 very pupil (100%) accessing nurture provision made at least expected progress in R/W/M with 79% making better than expected progress. Parental involvement – Employment of a part time child and family worker £10,772 To address barriers to learning and support vulnerable parents and families through referrals, meetings and training programmes Case studies show the impact of this service on a range of families across school. Outdoor adventure learning – Derwent Hill weekend for KS2 pupils £2,000 To widen learning opportunities and experiences of pupils Excellent verbal feedback from staff and pupils of the impact of this. Art participation – music tuition across the school £4,000 To target disadvantaged pupils for music tuition Celebration event held in school for parents and pupils to see the effects and outcomes of this music provision. Regular assembly time given for children to demonstrate new skills. Paired mentor reading – Year 3 and year 5 None To accelerate progress in reading across year 3 and year 5 Accelerated reading progress of both cohorts when monitored over the autumn term – compared with year 2 and year 4 who did not use this intervention. Digital technology – accelerated reader, Clicker 6, Test base, mine craft etc. £4,000 To improve hardware to enable pupils better access. Programmes used as intervention in class Pupil discussions indicate this has had impact on pupils ICT skills as well as collaboration opportunities and better outcomes. One to one tuitionPower of 2 maths intervention Year 6 £400 To plug gaps in attainment for Year 6 maths through focused 1/1 intervention 3 x per week for 20 minutes. 95% of pupils attained level 4 in maths 2013/14. PP children APS was 29.1, 2.1 aps scores higher than the national average 2013. Reducing class size -Additional PT member of staff supports in Year 6 0.5 each week £25, 092 To accelerate progress in year 6 for all pupils Progress of all pupils was outstanding from end of year 5 to end of year 6 – 5 aps point in reading, 6.6 in writing and 6.7 in maths. PP pupils made 6.4 aps in reading, 7.1 in writing and 7.1 in maths. 88% of pp made expected progress in reading (53% exceeding), 93% in writing (64% exceeding) and 93% in maths (38% exceeding). Outdoor adventure learning – Derwent Hill weekend/ France visit for KS2 pupils £2,000 To widen learning opportunities and experiences of pupils All pupils were able to take part with reduced costs and no child was excluded due to funding. Digital technology – accelerated reader, Clicker 6, Test base, mine craft etc. £16,500 To improve hardware to enable pupils better access. Programmes used as intervention in class Continue in 2014/15Daily interventions used through quality first teaching to ensure all children make at least expected progress.